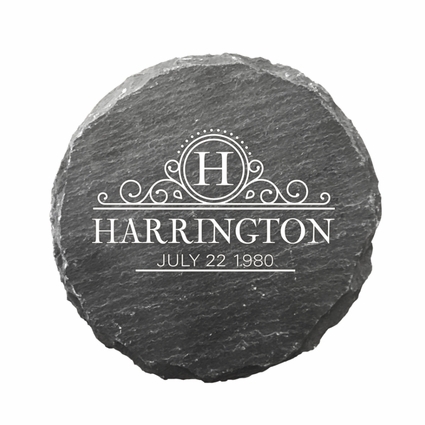 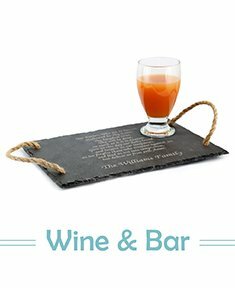 Show off your classic style with these personalized slate coasters with name engravings. 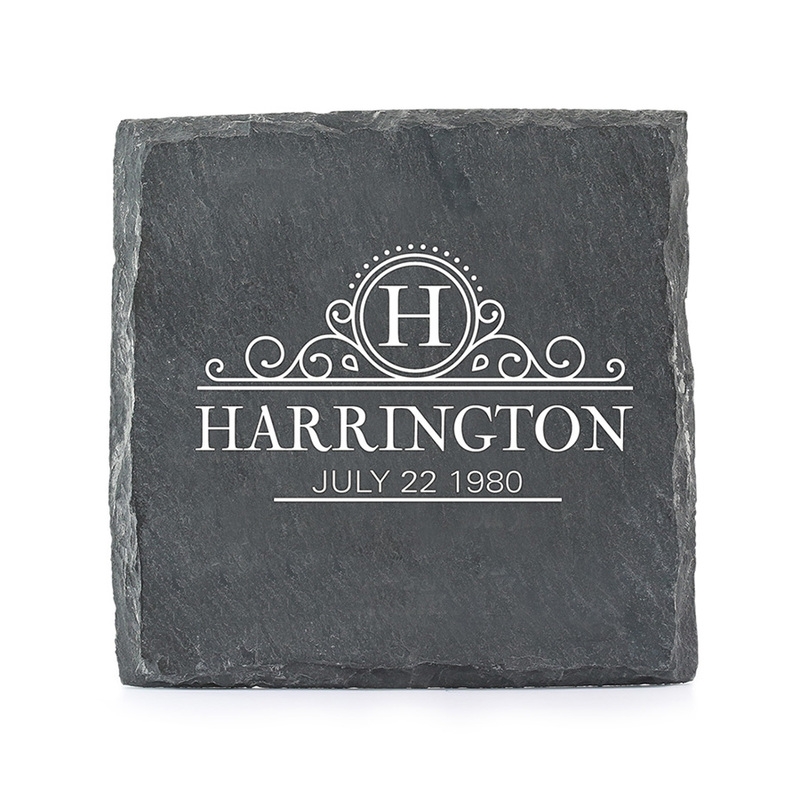 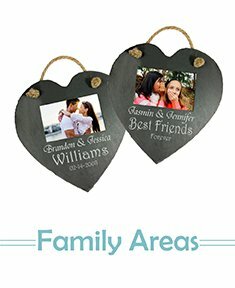 The first letter of your last name will be engraved in a large font and your family name will show across the slate (10 letters to choose from). 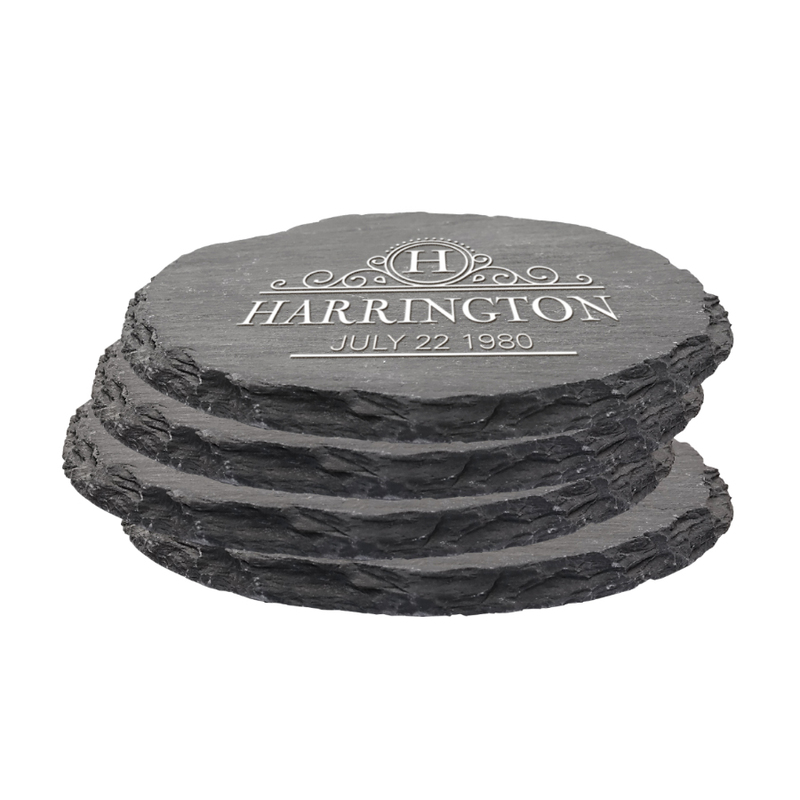 Own these classic coasters today!